To prepare a tonic with apple cider vinegar (ACV), add a tablespoon of ACV to a glass of water and stir. You may also add some honey to make it more palatable. Take the tonic up to three times daily before meals. It is also recommended that you undergo a liver detox day once every six months. You start this regimen on the night prior to the detox day by eating an easy to digest meal consisting for instance of fish and steamed veggies. The following day, undergo a liquid fast so that you only take liquids like broths, vegetable juice, green tea, apple juice, and water. Early morning and before retiring to bed on the detox day, drink the ACV tonic, but this time, add two tablespoons of ACV to a glass of water. For the next one week, eat only fresh foods such as fruits, vegetables, nonfat dairy, whole grains, legumes, and lean meats. Note that during this period, you are likely to experience some adverse effects such as nausea, headaches and lightheadedness. These are normal and are the result of toxins exiting your body. You should therefore plan ahead so that you don’t overexert during this period. Soak in some sunshine, do light exercises such as stretching, and walking, and take good care of your liver by having a drink made with 2 tablespoons ACV in a cup of water, and sweetened with a teaspoon or two of honey. The citric acid in lemons and the acetic acid in ACV help breakdown toxins so that they can be dissolved for expulsion. Squeeze juice from one fresh lemon, and mix with one tablespoon ACV in a glass of water. Take once daily. Cranberry is rich in vitamin C which helps flush out toxins. Combining cranberry with ACV produces a powerful liver detox drink. Put the ingredients in a small jug and stir to mix. Take once. This combination takes advantage of ACV and the other ingredients. Mix the ingredients in a jug to make an effective apple cider vinegar liver detox blend that will flush out many toxins. Green tea is rich in antioxidants and minerals. These qualities, combined with those of apple cider vinegar work to strengthen liver function by cleansing it and protecting it from effects of free radicals. To make it, brew a cup of green tea, add 1 tbsp each of ACV and honey. Stir and drink once a day. Peel 10 cloves of garlic, mash them and put in 2 cups boiling water. Put out the fire and let it stand for 10 minutes. Strain and add lemon juice from one fruit, 2 tbsp ACV, and 4 tbsp honey. Take a glass of the brew three times in a day. Minimize or quit alcohol drinking for a healthier liver. Quit smoking because tobacco damages the liver. Include whole foods in your diet. Follow a physical exercise routine to improve liver function. Avoid self- medication because chemicals in some medications are injurious to the liver. Consult a healthcare professional for prescriptions. It therefore makes sense for fatty liver disease patients to add ACV to their daily routines. It is worth to note that many FLD patients attest to the effective workings of ACV. Additionally, several studies have found that ACV helps in the treatment for fatty liver disease. First things first, look out for organic, raw, unfiltered apple cider vinegar without preservatives as this provides maximum benefits. Bragg’s ACV is one such brand. One bottle should last for about one month. 1. Add one tablespoon (15ml) of ACV to one glass of lukewarm water and stir to mix. Drink, first thing in the morning. If the taste is off-putting, add just a little honey to improve it. 2. A slightly different method is to add one tablespoon ACV to half or full glass of water and take it with a meal. This is an easier way to take ACV for many people. 3. 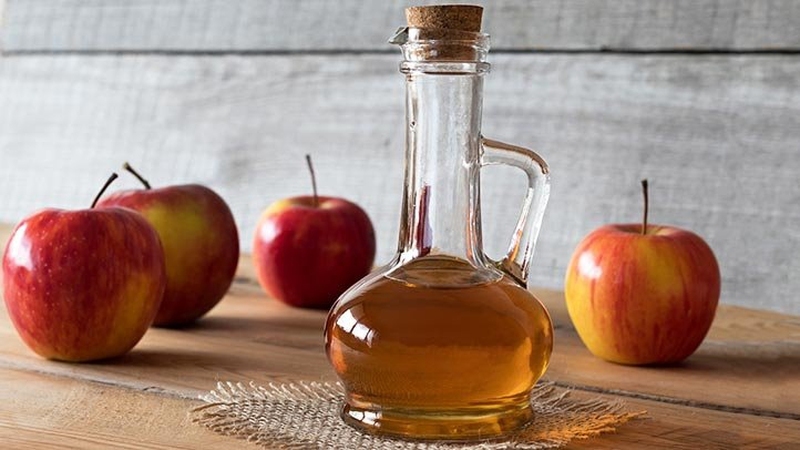 Instead of taking ACV at a particular time of the day, just ensure that you take the recommended tablespoon (15ml) at some point within the day. You can achieve this by adding it to your salad. Use apple cider vinegar liver detox by adding ACV as a salad dressing together with the usual extra virgin olive oil.